Nowadays, the Jersey Shore is better known for sleazy reality shows and $1.99 streak and eggs after a night losing the family nest egg at an Atlantic City casino. But it wasn't always that way. 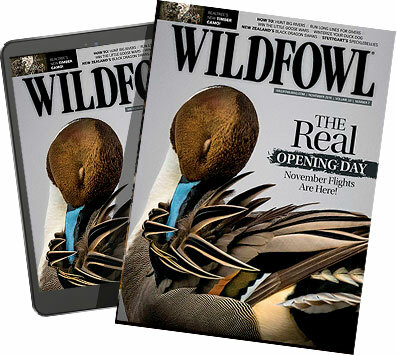 Long ago, a deep culture of waterfowl hunting, or gunning as the east coasters call it, existed (and still does today) on the seemingly endless coastal marshes of New Jersey. One of the most famous coastal areas is Barnegat Bay, which runs from nearly the tip of Manhattan to the Brigantine Marshes just north of AC. Part of Barnegat Bay's mystique is in the small shallow-draft boats used there and named appropriately Barnegat sneakboxes. Made for one man, they were outfitted with a decoy rack on the back where a dozen blocks could be stacked. On the front was a canvas spray shield that was attached to the deck just ahead of the hunter and held in place with a dowel forming a low but effective shield against breaking waves, and also provided concealment. Once at the hunting location, it was a quick drill to toss out the decoys and slide the craft into the abundant marsh grass that bordered the water up and down the bays. A few bunches of grass to cover the deck, and you were hunting. On bitter-cold days some hunters lit a candle or kerosene lantern under the front deck to take off some of the chill. The hunter laid down, only his head above the boat's profile, nearly invisible to circling ducks and brant. Because sneakboxes are easily maneuverable, hunters could position their backs to the wind for perfect decoying birds right out front. Rowed, sailed, poled or towed, the Barnegat sneakbox was purposely made for the thousands of tidal streams and holes, and light enough to be hefted over shallows when the tide went out. The major species of Barnegat, Brigantine, Abescom and other tidal areas were and remain the Atlantic brant, canvasback, scaup, mallards and black ducks, it just depends on where you go. Toward the Atlantic Ocean, hunters also shot scoters, long-tails and other saltwater ducks; further inland they found the mallards and black ducks. Atlantic brant are especially fun to hunt, diving in for beaks full of eel grass at low tide. They still decoy well, making a crackling sound as they fly in strings along the bays. Today it seems surreal hunting with the towers of the Atlantic City casinos as a back drop, but the waterfowling is superb on the old hunting grounds, and although motors have replaced rowing and poling, the allure of the hunt remains the same on one of America's truly classic gunning waters.